Looking for a family-like culture where fulfilling careers are born? Being part of an organization that changes lives is incredibly rewarding. Having the right insurance coverage in place can protect families and local businesses, as well as rebuild infrastructure and keep the economy strong. Learn more about the possibilities ahead for you to grow as a person, contribute to your community, and develop your career as a member of the Indiana Farm Bureau Insurance team. 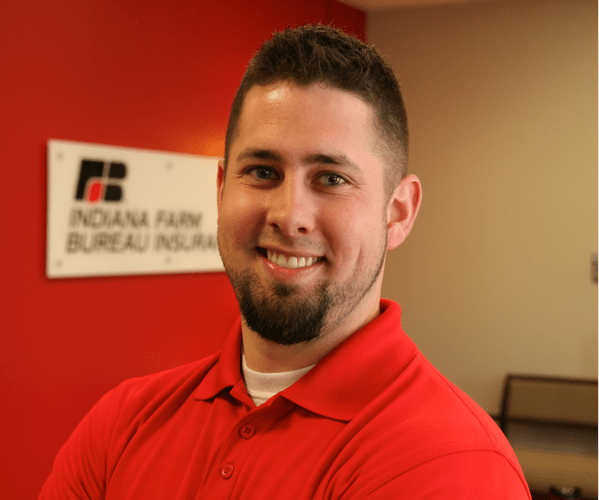 Why work at Indiana Farm Bureau Insurance? We know that it’s the people who really make our organization great. For this reason, we foster an environment of continuous growth and development coupled with total rewards so that we are recognized as being an outstanding place to work. Being at your best means taking care of yourself, too. That’s why we offer a comprehensive benefits package, so you can focus on what matters. Want to know the secret to our low turnover rate? It's the authentic commitment our people have to serving our communities. When you care, it shows. Ability to make an impact. Whether you help customers through a difficult time or apply your talents to help build the foundation for future generations, you will have ample opportunities to fulfill your potential. We believe in the goals of our people and want all of our team members to be successful. That’s why we have tuition reimbursement options available, in addition to in-house training and development. While we pride ourselves as state leaders in insurance, we want our team members to enjoy life outside of work! The time to save is now! Plan for your future with our retirement savings plan, which provides for company matching contributions. Whatever you picture an insurance career to be, leave it all behind. At Indiana Farm Bureau Insurance, it’s more than you ever imagined. Explore our career opportunities and learn what sets us apart. Learn more and view open opportunities. Don’t see a clearly defined path that speaks to you? We invite you to join our Talent Community or view all jobs below.